MoreAshley Stone Benedik is a Panama City native. She graduated from Mosley High School in 1986, Florida State University in 1989 and Louisiana State University, Paul M. Hebert Law Center in 1992. She moved back to the Panhandle in 1993 and started her career as a Prosecutor for the State Attorney's office. During this tenure, Ms. Benedik tried approximately 100 cases in front of a jury. The type of cases she handled and tried in front of a jury helped her become more knowledgeable in how the...Ashley Stone Benedik is a Panama City native. She graduated from Mosley High School in 1986, Florida State University in 1989 and Louisiana State University, Paul M. Hebert Law Center in 1992. She moved back to the Panhandle in 1993 and started her career as a Prosecutor for the State Attorney's office. During this tenure, Ms. Benedik tried approximately 100 cases in front of a jury. The type of cases she handled and tried in front of a jury helped her become more knowledgeable in how the complete system works. Now she has decided to apply that experience in helping others in Criminal Defense. She has been focusing on criminal defense since she left the State Attorney's office in 2005. As a criminal defense attorney she has successfully defended numerous clients. In fact, she had the unique opportunity to represent one of the eight defendants in the Bay County Boot Camp/Martin Lee Anderson Aggravated Manslaughter of a child case in 2007. This case received national attention and was featured on Court TV. Ms Benedik was the only female defense attorney involved in the case and was able to obtain a Not Guilty verdict for her client in that case. 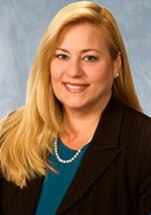 Ms. Benedik is a member of the Florida Association of Criminal Defense Lawyers, the Panama City Rotary Club, St. Andrews Bay Inn of Court, and Club 24. In law school she was a member of the Phi Delta Phi legal fraternity.